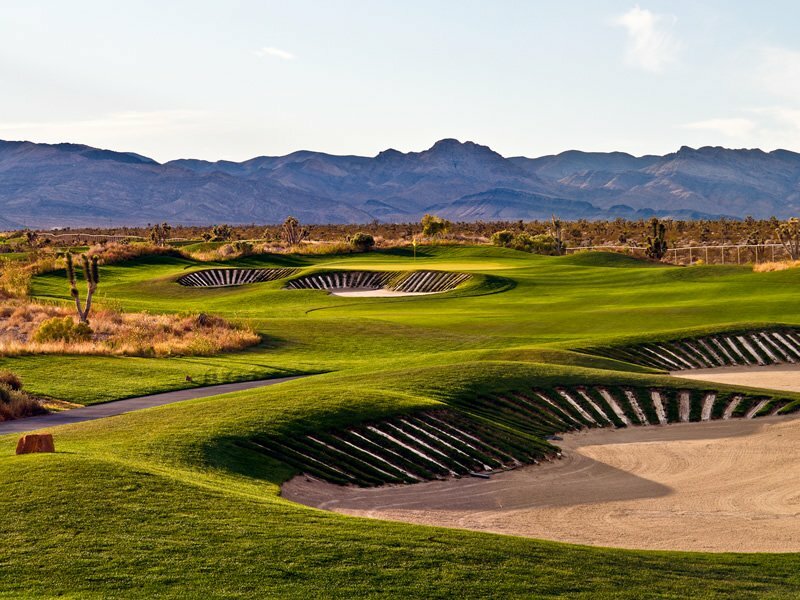 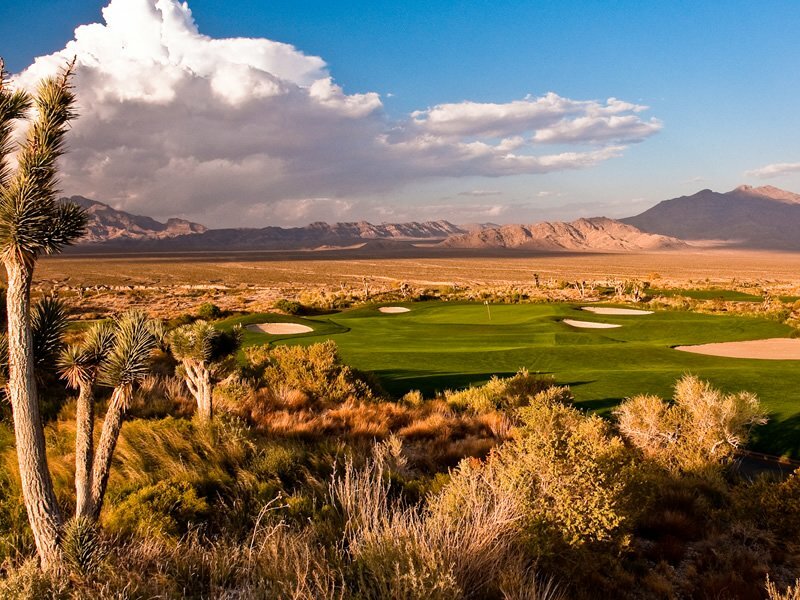 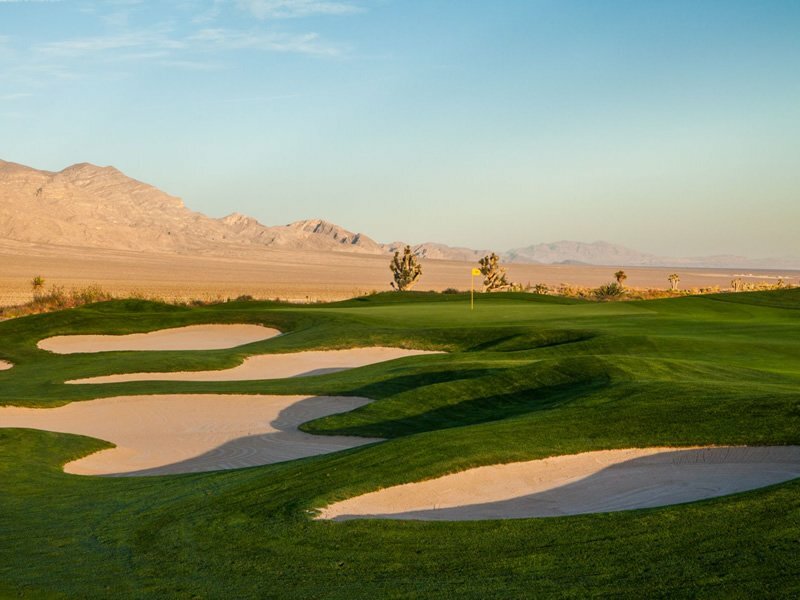 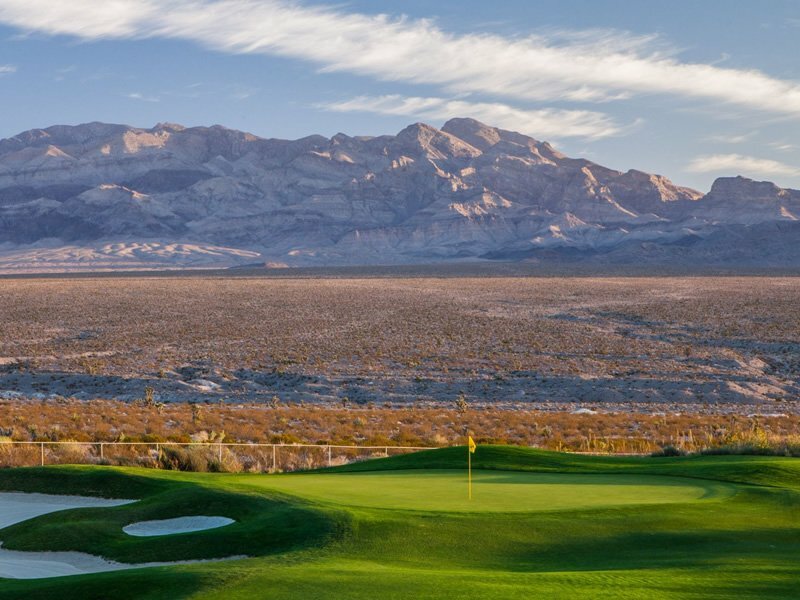 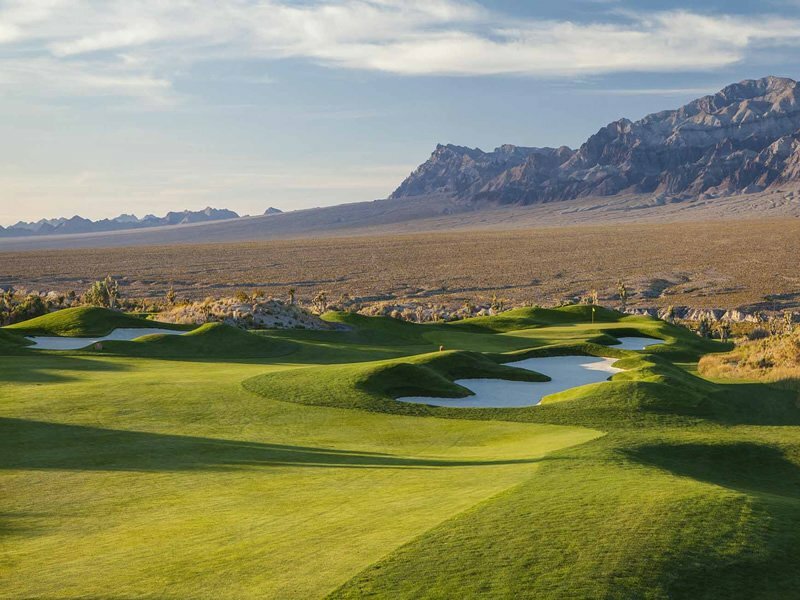 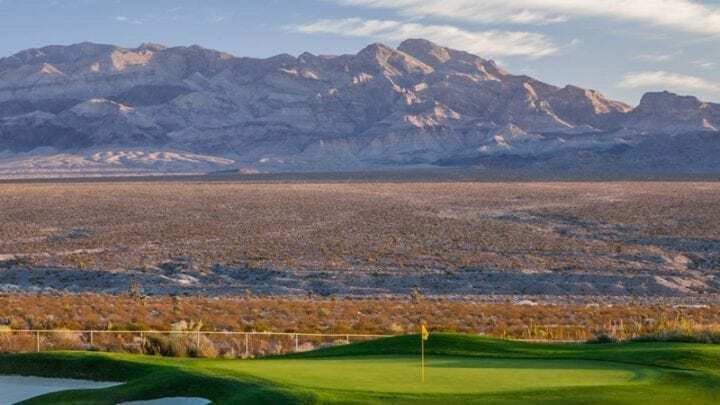 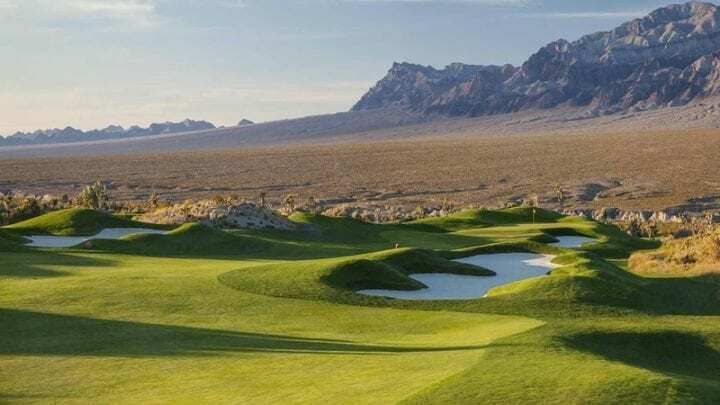 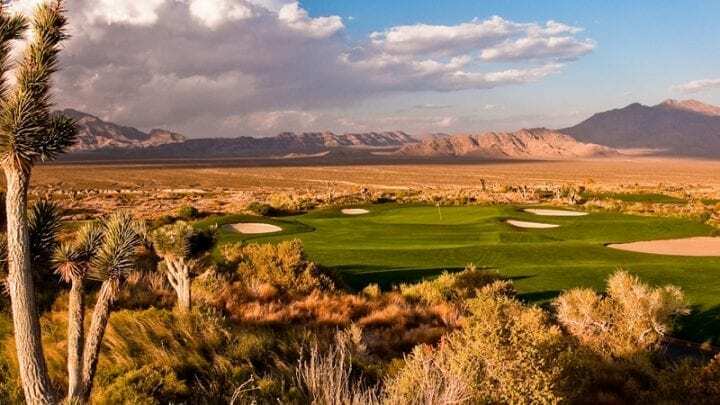 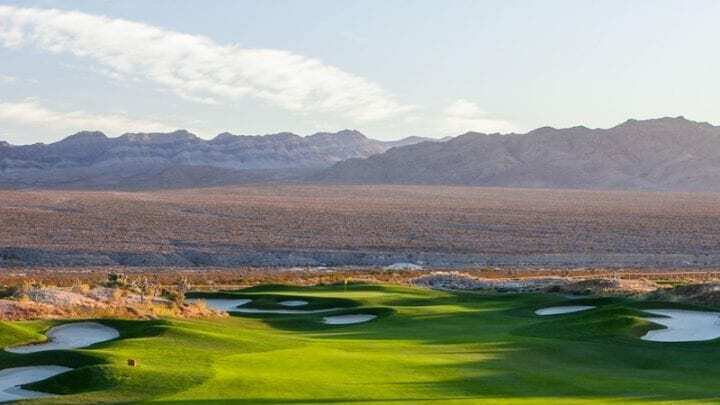 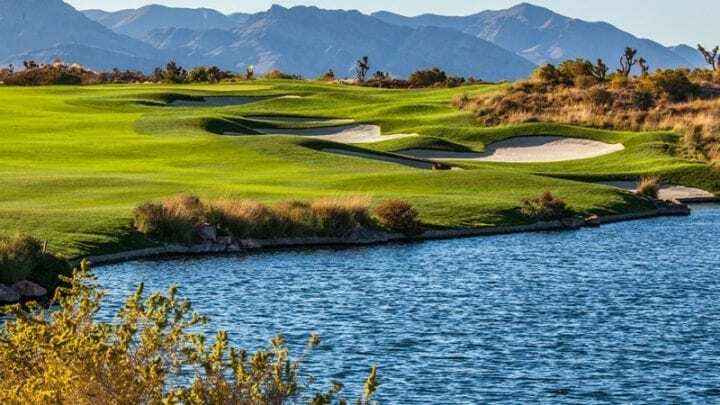 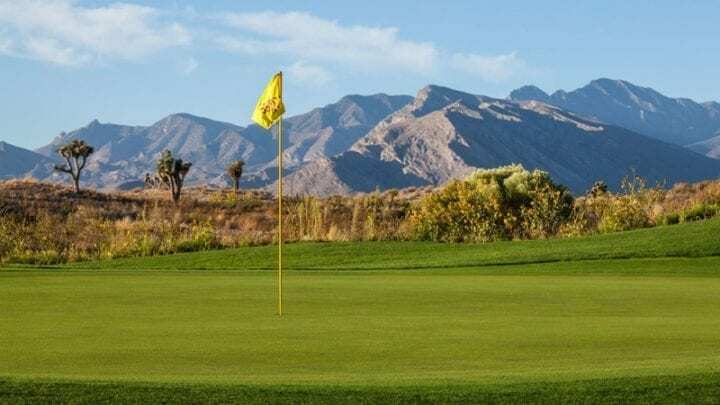 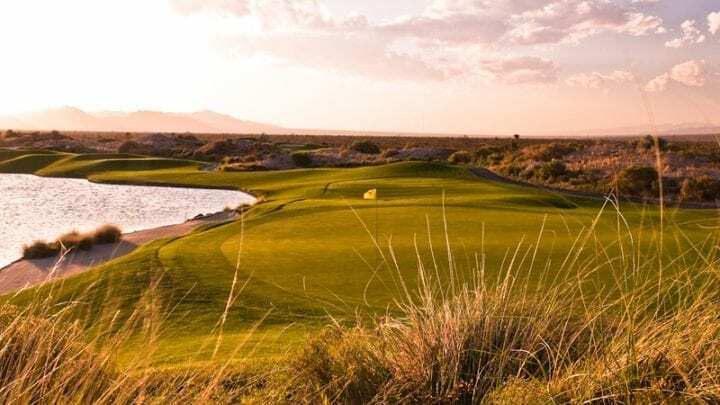 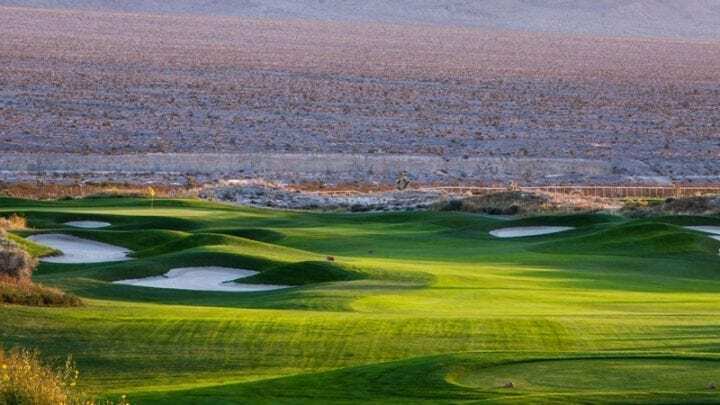 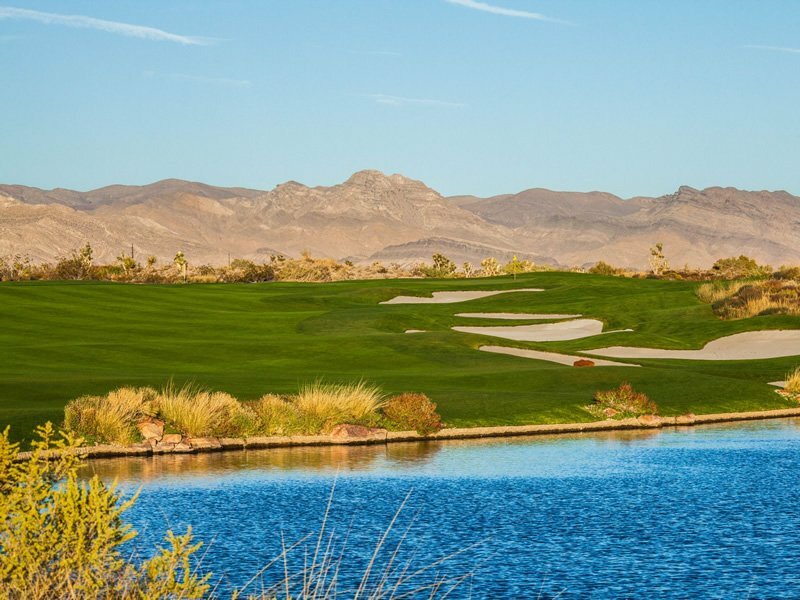 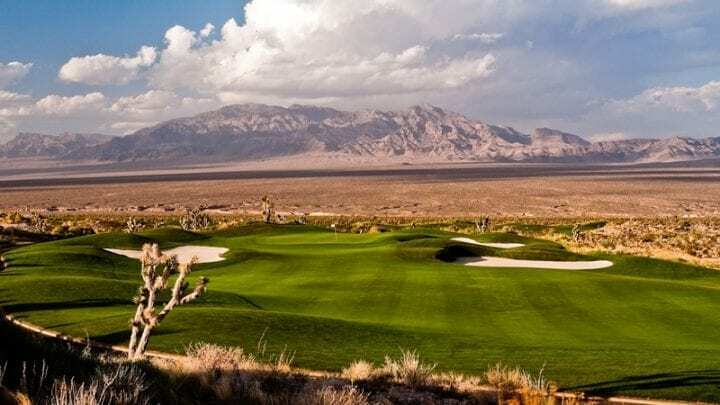 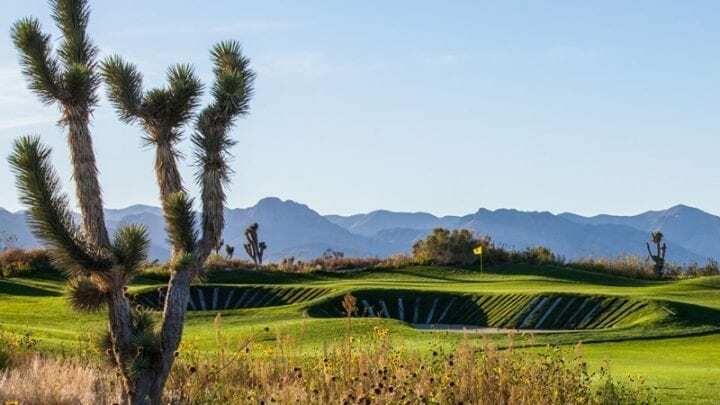 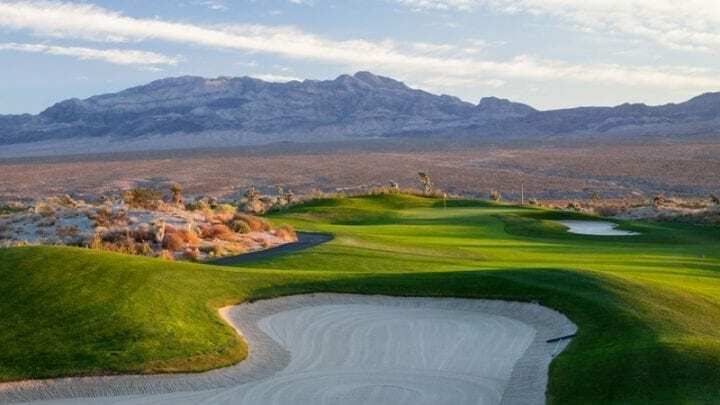 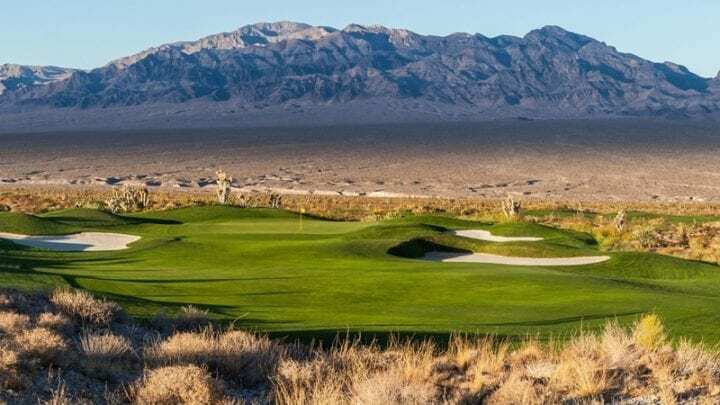 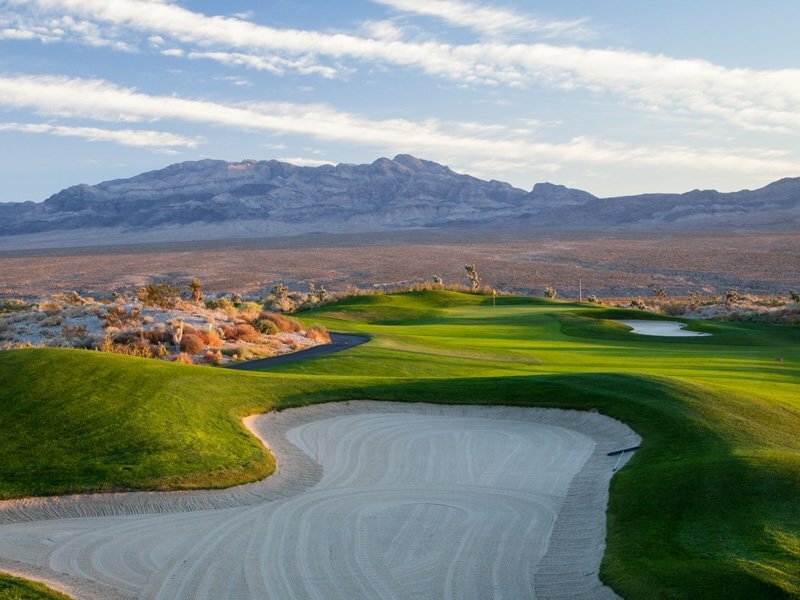 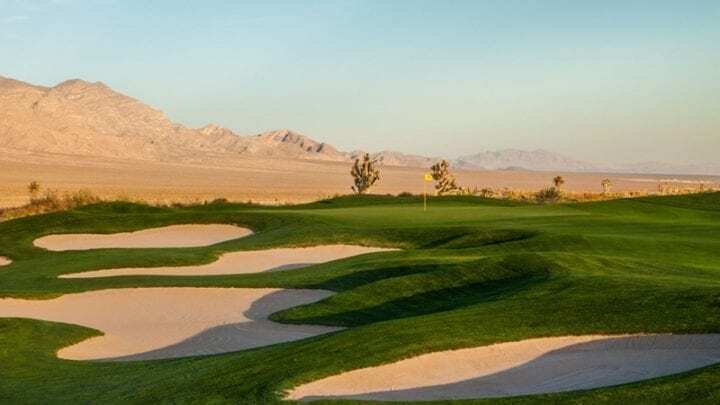 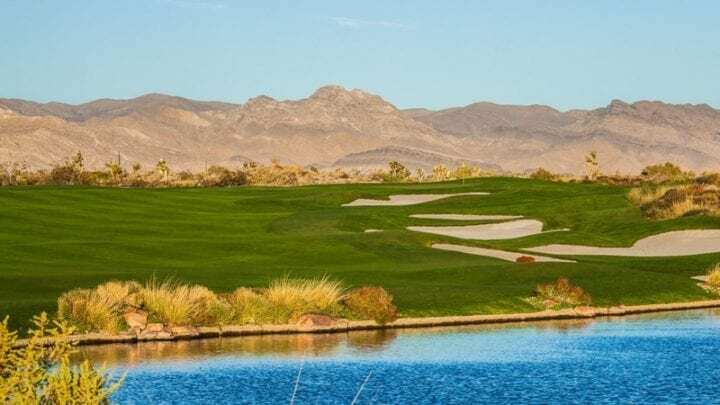 Opening a year after Snow Mountain, the Las Vegas Paiute Sun Mountain course is supposed to be the easiest of the three courses at the Las Vegas Paiute Golf Resort. 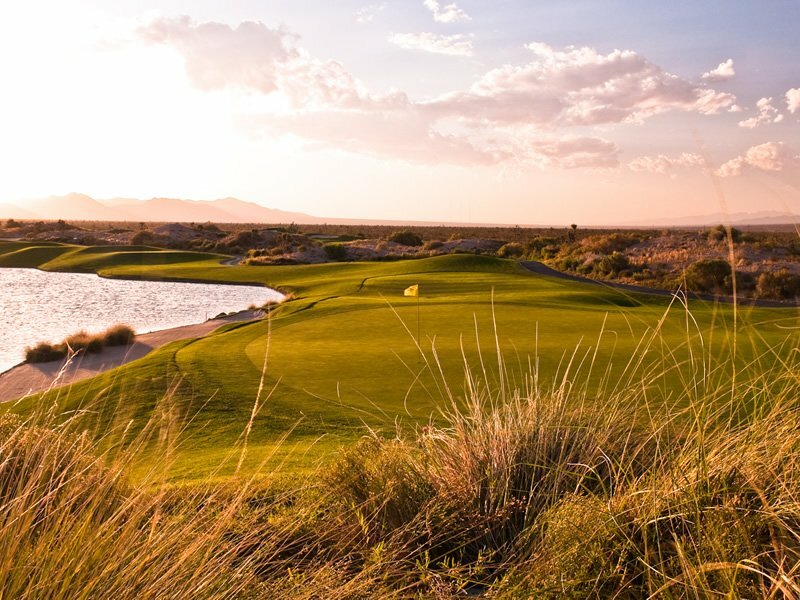 Do not believe what you hear. 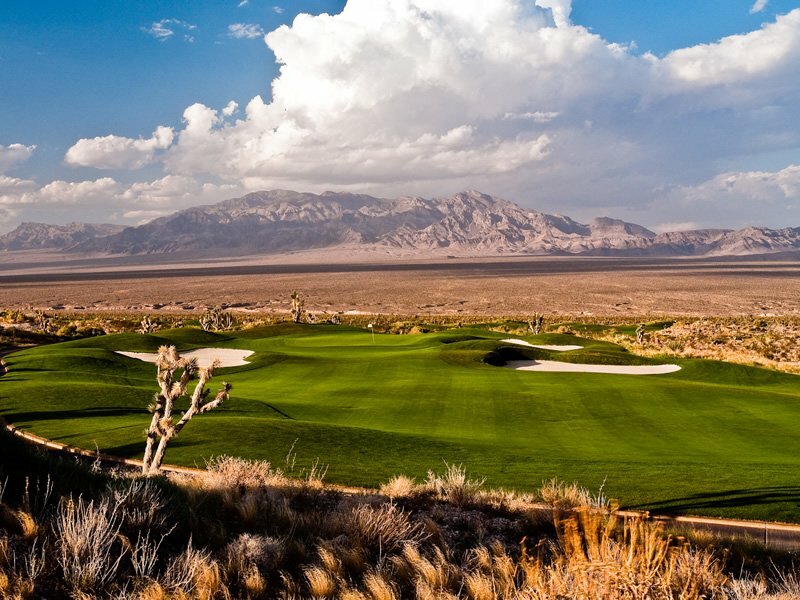 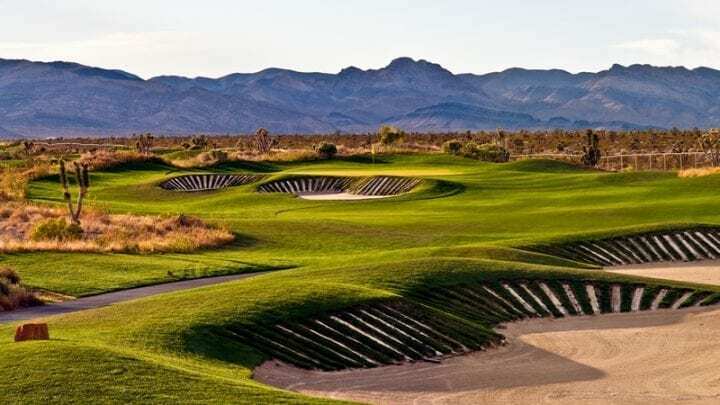 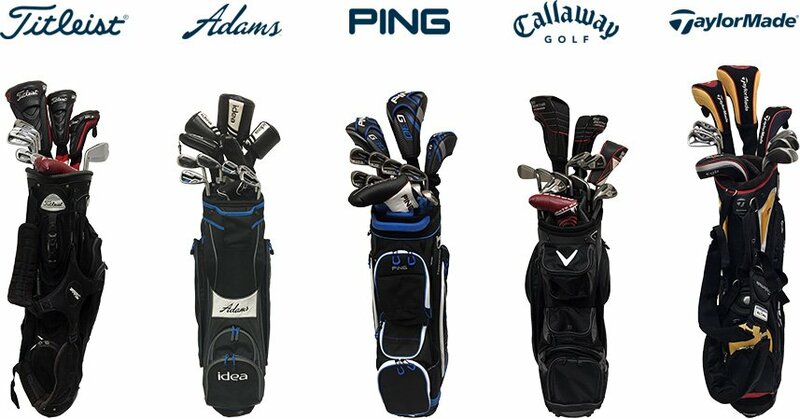 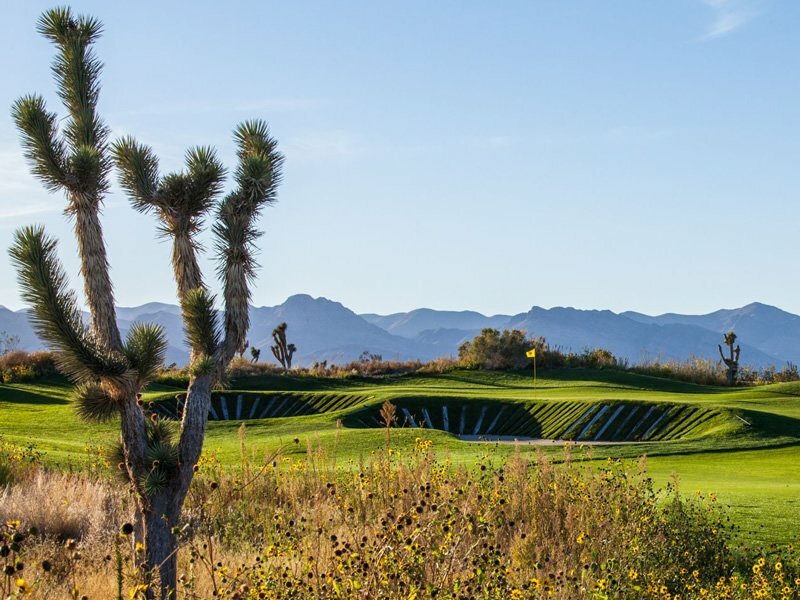 From the tips, this course plays as difficult if not more difficult than many of the courses in the Las Vegas area. 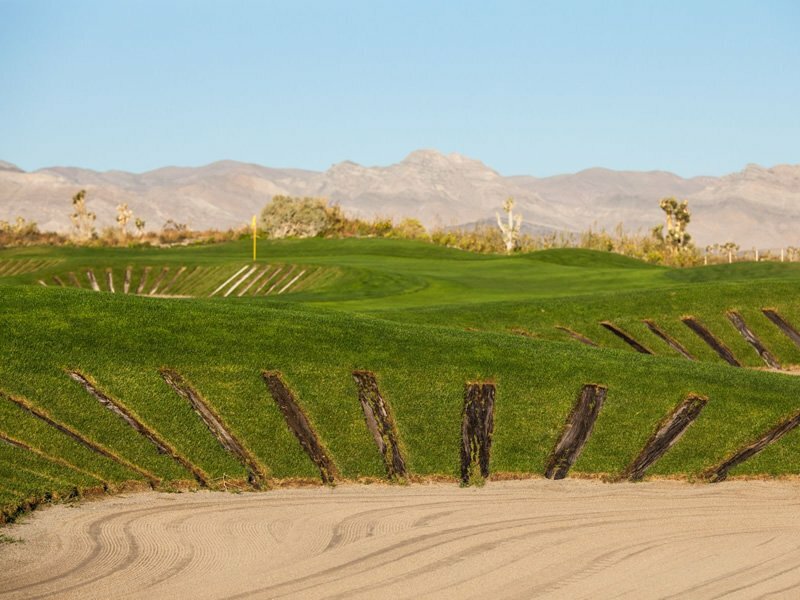 Another one of Dye’s trademarks, this course is littered with railroad ties around many of the bunkers. 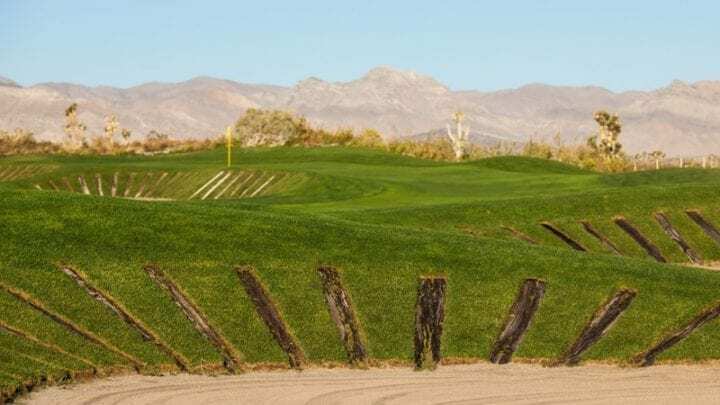 If that isn’t enough, he keeps the fescue rough thick as can be. 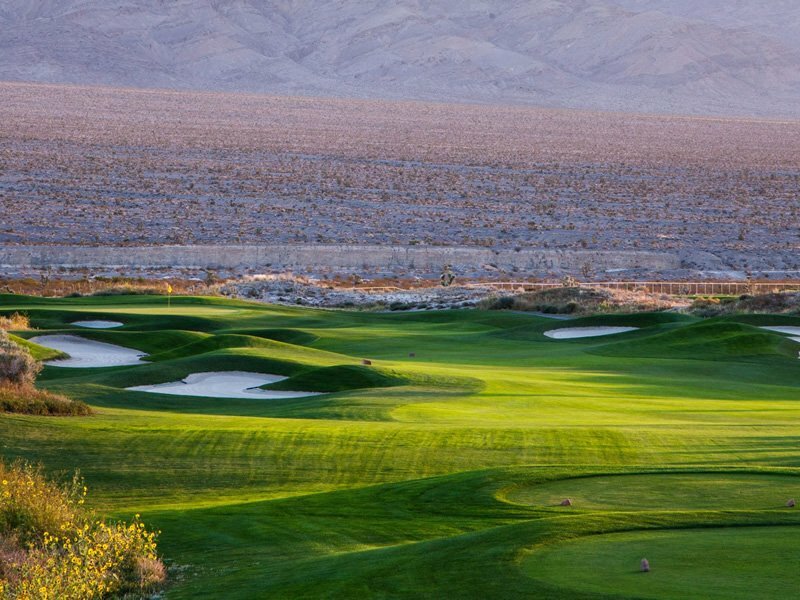 Even though the fairways are supposed to be easier to hit, this course can get you if you are not careful. 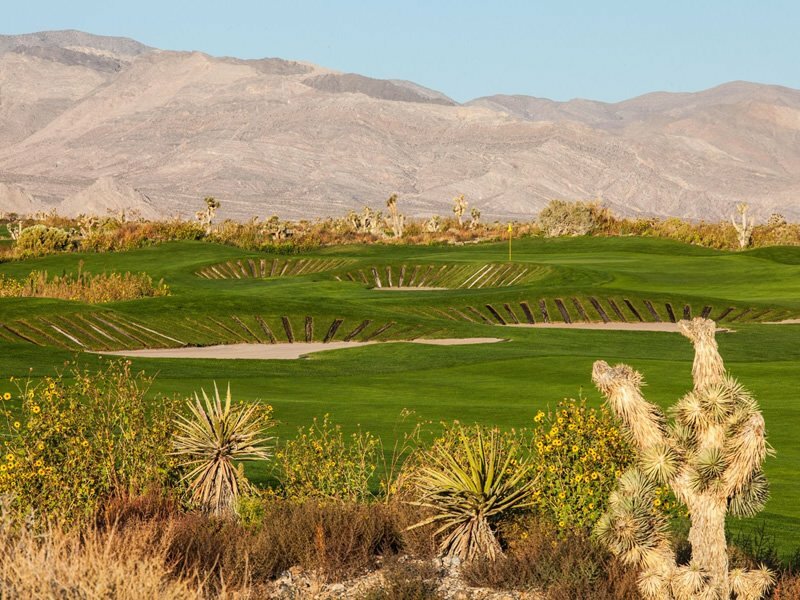 There are pot bunkers and hopefully avoidable lakes that seem to be placed right where your shot wants to go. 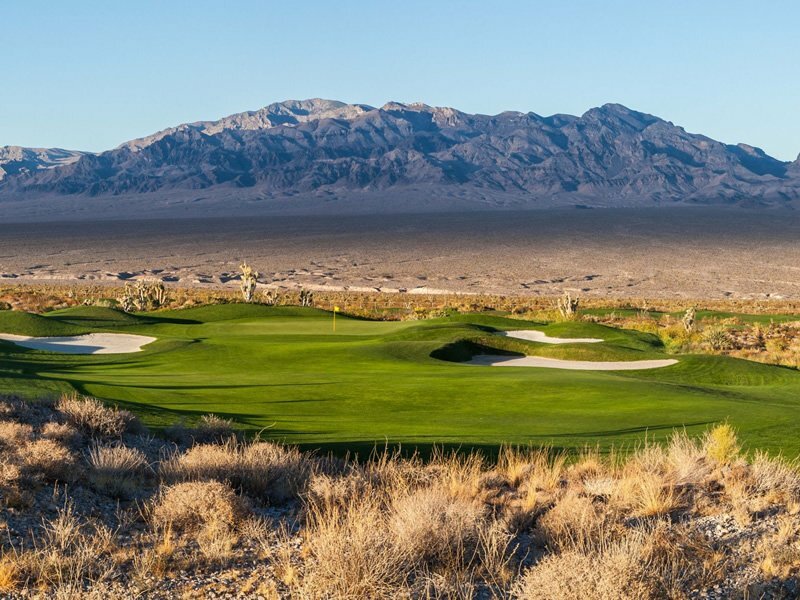 Along with the immaculate Bentgrass greens, Las Vegas Paiute Sun Mountain is a perfect choice for an exciting day on the links. 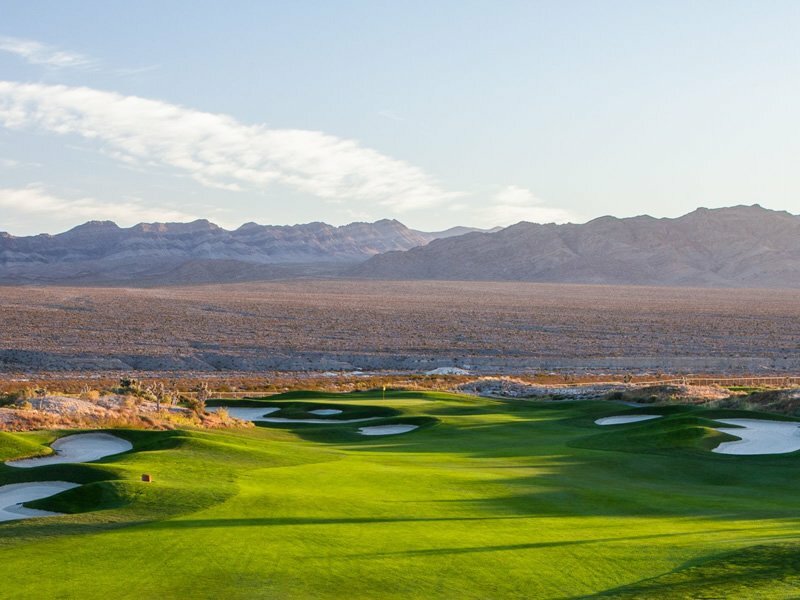 The signature hole on the Las Vegas Paiute Sun Mountain course is hole number four; a par-3 measuring 206 yards from the tips. 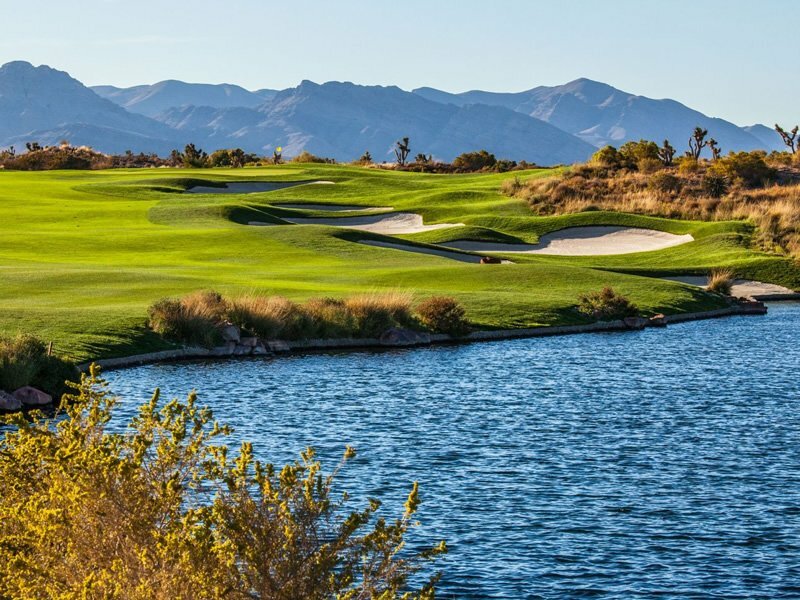 Requiring a lengthy carry over water, there is very little room for error. 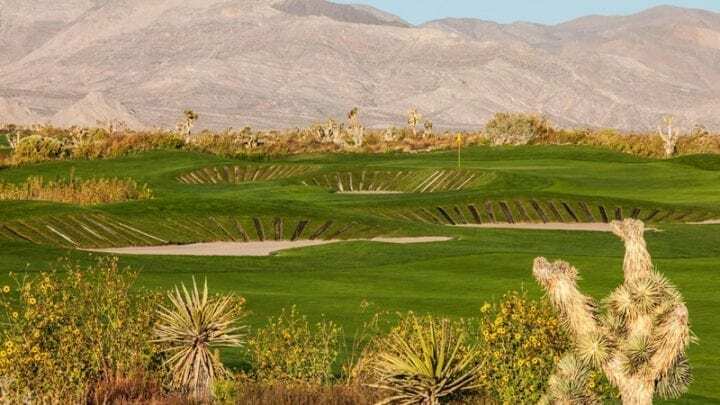 With a bunker covering the entire right side of the green and a tiny bail-out area to the left, you better hit it straight or else…Kurplunk. 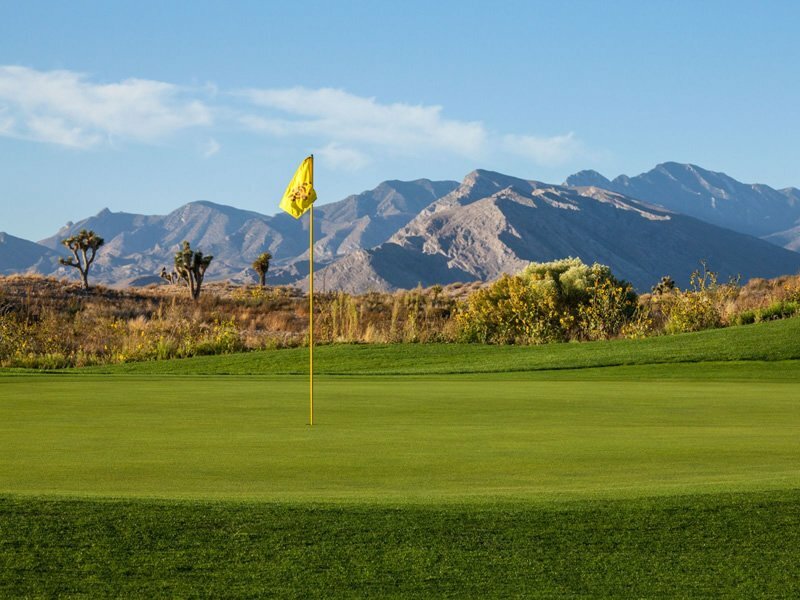 Hit it and hope!